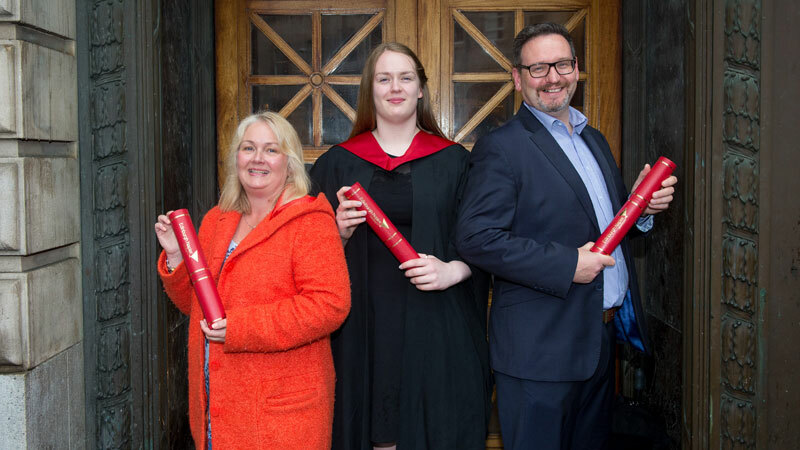 Beth Scoon has today followed in the footsteps of both her mum and dad after she graduated from Edinburgh Napier University. And her success has also marked a major development in the university’s progress as an educational institution. When mum Tanya, 50, graduated with a Diploma in Journalism Studies in 1986, it was still a college. By the time dad Graeme, 49, graduated with a BSc in Quantity Surveying in 1991, it had become Napier Polytechnic. Today, as Beth graduated with a First Class Honours Degree in Sports and Exercise Science (Sports Injuries) at the Usher Hall, she became the first in the family to do so since the institution acquired university status. Beth, 22, of Kirkcaldy, said: “I thoroughly enjoyed my time at the university and made good friends both through my course and the women's basketball team which I was fortunate enough to captain for three years. “Sighthill campus really felt like a home to me, as I would often arrive at 9am for classes and stay until 8pm when basketball training finished! “The university was also very supportive when I represented Team GB at ice and roller hockey and when I competed at the winter Universiade in Trentino, Italy, in 2013. She said that following in her mum and dad’s footsteps was “purely coincidental”. “I chose to study where I felt most at home during Open Day visits. However, I do believe that our family and the university share similar values, in that we believe in substance over form and honest hard work sees us achieve success, so maybe it was meant to be!” Mum Tanya was accepted on the first two year journalism diploma course after it changed from being a one year HNC course. Competition for places was fierce with hundreds applying for just 30 places on the industry-backed course. Tanya said: “My time at Napier College was great, with fantastic lecturers including Donald McDonald and acclaimed journalist Bill Allsopp, who used to send us out onto the streets of the capital with just a notebook and a pen and tell us to come back with a story! - This was to to stand me in good stead in future years when I became a journalist at the Fife Free Press where I have worked for the past 30 years. 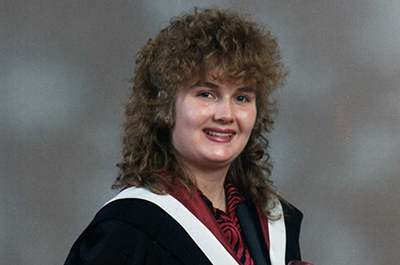 “Other memories include staying in the halls of residence at Craiglockhart which was a convent at the time and was run by the nuns – quite an experience! 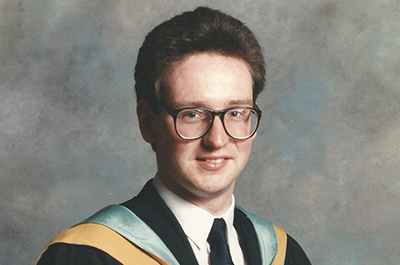 Dad Graeme went into the second year of BSc Quantity Surveying at Napier College in 1986 following a year at Dundee College of Technology, now the University of Abertay. He juggled work with studying part-time during a marathon six-year degree course. He said: “All our classes were at Merchiston and our little gang of part-timers overlapped throughout with various full-time classes. I remember there always being a bit of rivalry between the full-timers and part-timers, and we pretty much kept to our own group. “There were some characters among the teaching staff including James Curran, wee Willie Goodall the painter who was only a year or two older than us, and a fearsome female law lecturer who wrote on the whiteboard with permanent marker.